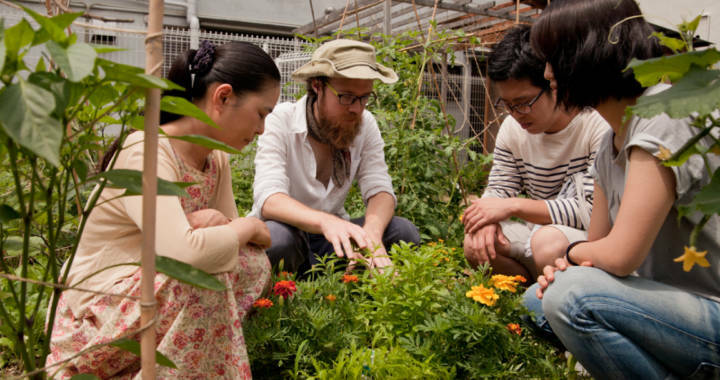 A “sensing” exercise that helps participants focus their sense and awareness of a place, and sparks their creativity and problem solving abilities. 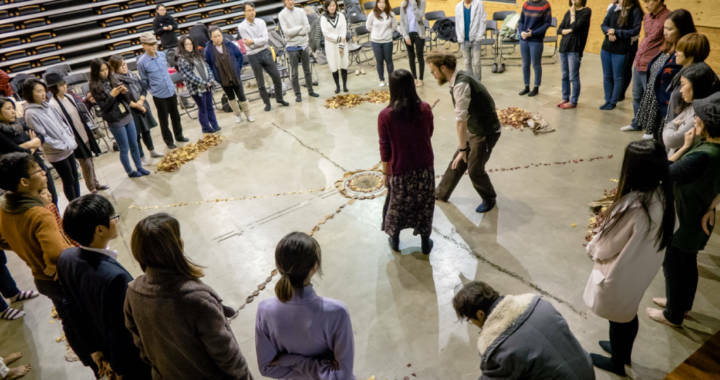 A team building exercise where groups work together to build a giant mandala from locally-foraged natural materials, celebrating local nature, and building stronger relationships with the environment and each other. 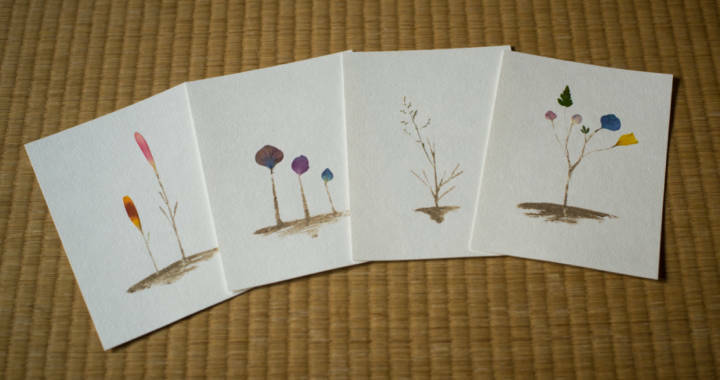 Participants learn simple ways to preserve and use plants to make postcards, exploring the shapes, textures, and colors of local plants, and using them to tell the story of places in more delicate and intimate ways than a traditional postcard. 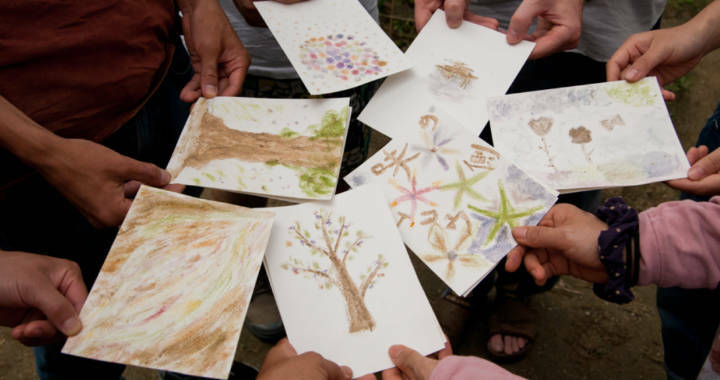 An art-making workshop where participants discover the importance of the billions of individual living beings in the soil as we slowly delicately, and mindfully explore the myriad colors and life to be found in soil, stone, and other local natural elements. 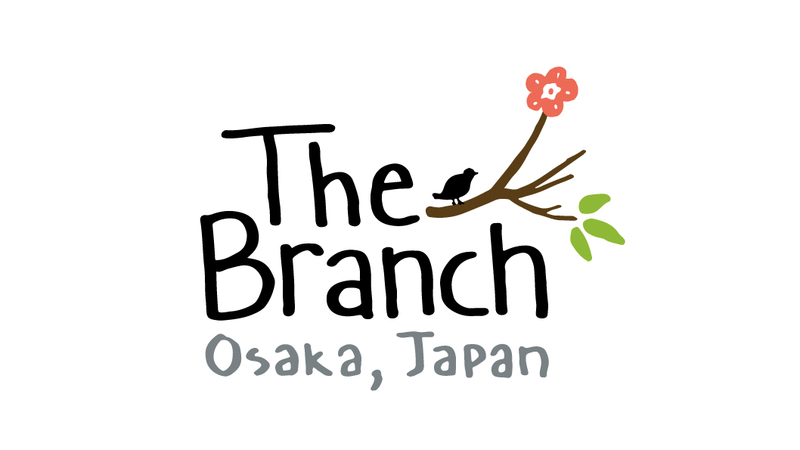 Visit us at The Branch, our art and ecology space in Osaka, Japan! 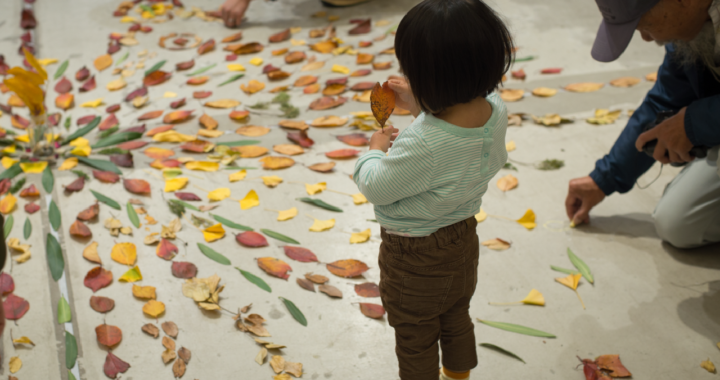 Unless otherwise noted, all content is offered under CC BY-SA license. Please credit City as Nature when re-using content from this website. | Theme: Elegant Magazine by AF themes.